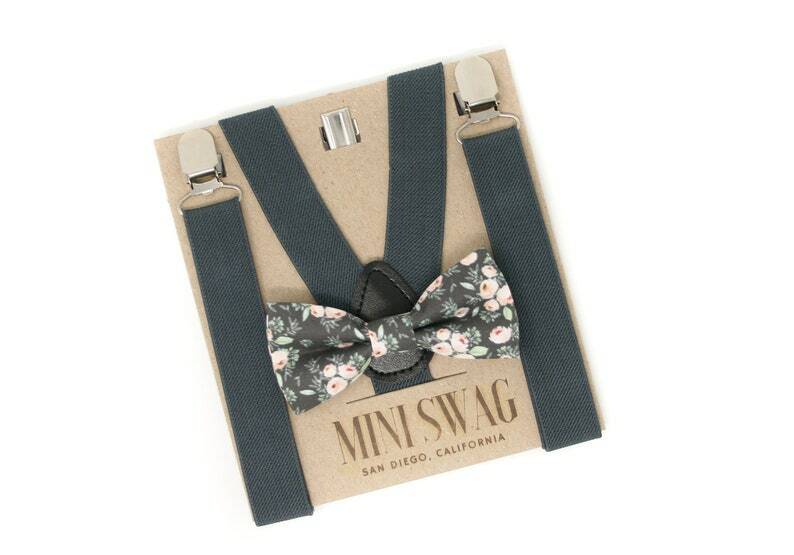 Your little one will be the talk of the party when he arrives sporting this beautiful gray and blush floral bow tie & dark gray suspenders! Perfect for a ring bearer or page boy outfit, groomsmen, parties, cake smash or family photo shoot! These are SO CUTE and I can't wait to see my little ring bearers wearing them!